Are you craving inspiration, accelerated growth in your dance and a guaranteed formula that opens doorways to your own creativity? Then read on! The BellyDance Blueprint is aimed at dancers who are more tribal fusion inclined and thrive in learning new ways to create movement sequences, to learn the art of crafting choreography and to those who desire to feel confident in becoming skilful at layering movement and creating stunning body positions. 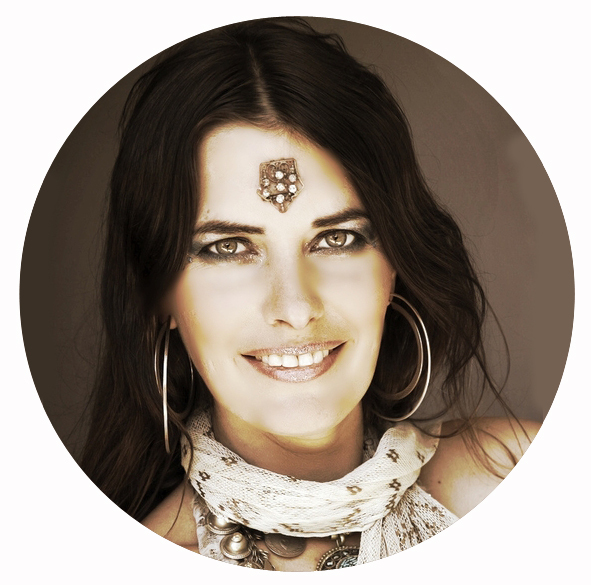 This intensive program will transform your perception as a creative belly dancer! The Belly Dance Blueprint aims to provide a thorough understanding of good body mechanics and muscular understanding and how it directly relates to the core of Middle Eastern Dance movement and Tribal Fusion Belly Dance. I started creating this format back in 2012, and my aim is to empower dancers to find their own style and to tap into their own creativity. I believe that the process of creating your own work that feels authentic and aligned with who you are, is the key to feeling empowered, fulfilled and consistently inspired! 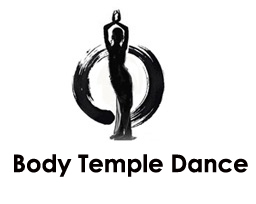 The teaching methodology has been developed as a result of 12 years experience in American Tribal Style Belly Dance (certified ATS teacher), Tribal Fusion as well as incorporating key concepts from Classical belly dance and Classical Indian Dance (Bharatanatyam). WHAT IS THE BELLY DANCE BLUEPRINT? A complete immersion into the ‘science’ of creating tribal fusion choreography that feels authentic to you! Easy to follow formula that you can apply to any choreographic piece. A fantastic teaching tool that provides fun, creativity and structure to your curriculum, keeping the students inspired and empowered. A structured format which will trigger many “ah ha” moments! You will become an inspired Creatrix with easy and fun variations to play around with. A gateway to feeling confident with expanding your movement abilities and transforming your own style! A thorough exploration into the 5 Focus Elements of Tribal Fusion Belly Dance. Step by step instruction on how to put together your own choreography. Fun and creative learning tools plus plenty of support along the way! An opportunity to create your own choreography applying the formula, and therefore attaining certification. What makes this intensive so valuable? Many workshops or intensives teach you technique as well as combinations or choreography. The BellyDance BluePrint teaches you how to create your own choreography that feels alive and authentic to you. The course is structured in a clear and easy to understand way, where suddenly you will feel not feel as overwhelmed with creating your own work and presenting it to your community. I love connecting and supporting dancers to step up and feel empowered through expressing their gifts. After you have taken part in the BluePrint intensive, i will be available to answer questions and continue supporting you along the way. Dancers who have registered for the intensive will have access to a private Facebook group that ONLY those who have completed the training will be invited to join. What level dancer are the lessons designed for? There are Two levels to The BellyDance BluePrint. It is recommended that you have had at lease one years belly dance experience. Dancers at any level will find value in the training. Can I teach the Format? I am happy for you to teach concepts from the formula, however if you would like to teach the entire BluePrint, teacher training is the next step for you. You will need to have completed Level One prior to teacher training. WHEN IS THE NEXT BLUEPRINT INTENSIVE? Next Intensive Training is yet to be confirmed- Please email me to register your interest! I was first introduced to the ancient art of belly dance at the age of 7 when I went to classes with my mother and could instantly do a belly roll! Fast forward over 30 years and I am now a teacher, performer, dance company owner and online course facilitator. I haven’t always felt confident as a dancer. When I first started over 15 years ago, I remember cringing and feeling terrible whenever I saw videos of myself. There were times where I was ready to give it all up as it seamed like it took forever to get the movements looking and feeling right. But there was always a little feeling deep down that told me to keep going…. It has been in the later years of my dance training and business that I really acknowledged the powerful healing benefits of belly dance. After witnessing huge transformations in woman, (from around the world) it has inspired me to make it my mission & passion to support and guide other women to step up and reach their full potential and inspire them to achieve long term momentum empowerment and fulfilment in their dance journey.